Yassin Aref's arrest and court case generated a great deal of interest. Many articles have been written about the case. The articles are grouped together by publication or author for the convenience of the reader. Fred LeBrun , a columnist from the Times Union, attended the much of the trial. 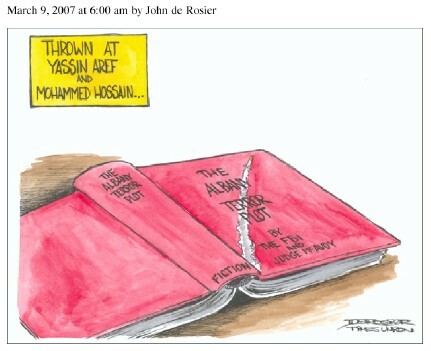 Was Justice Served in the Case of Aref and Hossain?